A loud explosion has reportedly rocked the central area of the Afghan capital of Kabul, where embassies and government buildings are located. Local agency TOLOnews‏ said the blast took place in the city’s Wazir Akbar Khan district. A Reuters witness reported that a loud blast shook windows and doors in the area. A suicide bomber reportedly detonated an explosive device inside Kabul's 'Green Zone' in the vicinity of the Australian embassy. 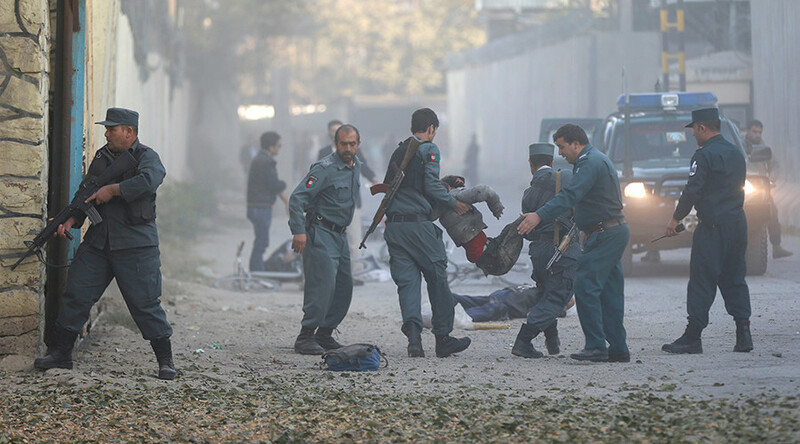 Afghanistan's Health Ministry has confirmed 14 people have been killed and 13 wounded in the blast, according to TOLO. Islamic State has claimed responsibility for the explosion. The IS-affiliated Amaq news agency said an attacker used an explosive vest to target Kabul's diplomatic quarter. Afghan government employees are said to be among those killed. Local security forces have cordoned off the area. The Afghan capital is frequently targeted by radical Islamists. On October 21, a suicide bombing killed 15 Afghan Army cadets as they were leaving a military academy on the western outskirts of Kabul. The blast occurred as the minibus carrying the trainees went through the gates of the Marshal Fahim Military Academy, near Qambar square. A day earlier, another suicide bomber killed at least 30 people in the Imam Zaman Shiite mosque in Kabul during Friday prayers, while another bombing in central Afghanistan claimed 33 lives. Islamic State (IS, formerly ISIS/ISIL) claimed responsibility for the attack on the Shiite mosque, but did not provide evidence to back up the claim. In late September, a suicide attack targeted a NATO convoy in the fifth district of Kabul, leaving three people killed. NATO confirmed the attack and said that there were no victims among its staff. “There are no Resolute Support casualties as a result of the explosion,” a spokesman for the NATO mission, Captain William Salvin, said.